Do you work at an office? Are you a manager of an SME or a startup? Do you want to reduce your energy consumption and cut your energy bills? Begin your free E-learning course now! Select the modules from the list below and click on the chapter of your choice. At the end of each module you will find a self-assessment quiz – test yourself and get the chance to receive a START2ACT E-learning certificate. This module will introduce the basics of saving energy on lighting, HVAC and office equipment. In the first chapter you will gain valuable insight on how to reap the benefits of natural lighting. The second chapter will focus on measures necessary to upgrade the HVAC system and usage in an energy efficient way ensuring comfort for all employees. 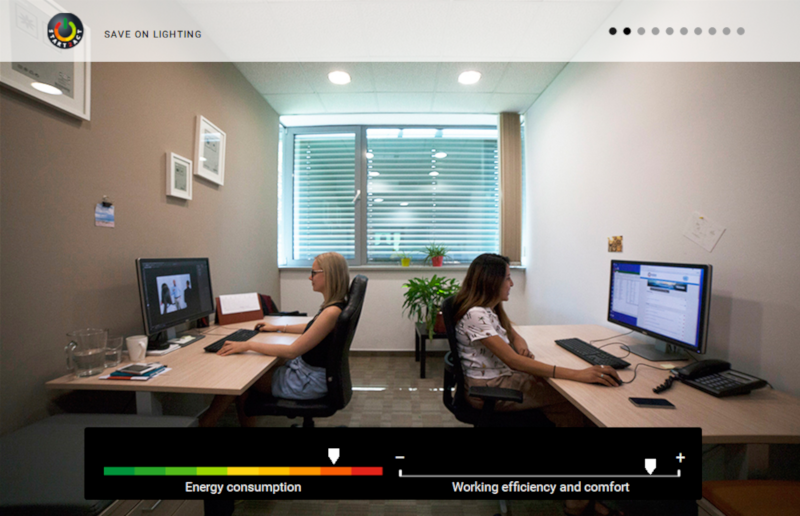 The third and last chapter of the module focuses on the share of energy consumption generated by office equipment and other appliances and ways of reducing it. 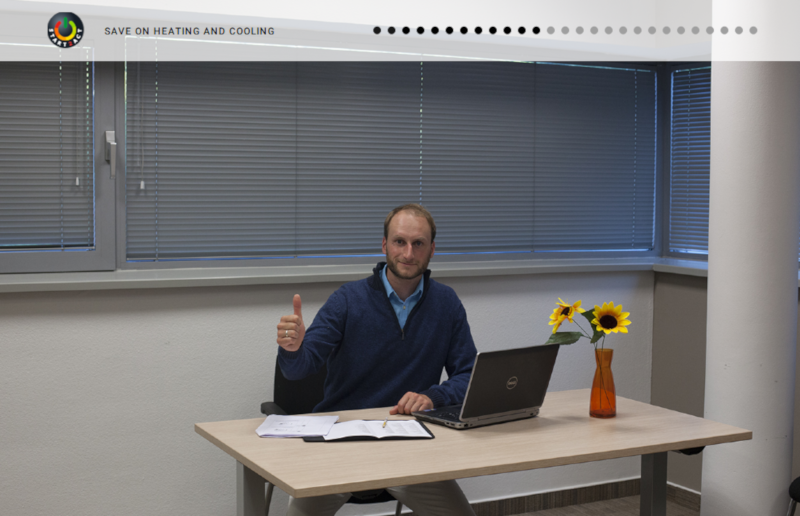 In this module you can learn how to be energy efficient not only at work but also at home. START2ACT will show you how to effectively protect yourself and insulate your home from the cold temperatures without using an excessive amount of energy through heating. Additionally, you will learn how to assess potential energy savings on your electrical appliances. Take energy efficient measures home with you and witness a noticeable drop in energy utility bills while also being conscious of your environment! We recommend you taking a look at the previous module (Energy Efficiency at the Workplace) first for a chance of applying the acquired knowledge at work and at home. This module is designed for managers. The third module of our E-learning will focus on topics that are the most relevant for managers of companies. The first chapter will provide you with useful tips on how to engage your employees in energy efficiency action plans in order to successfully and sustainably develop a green office culture. 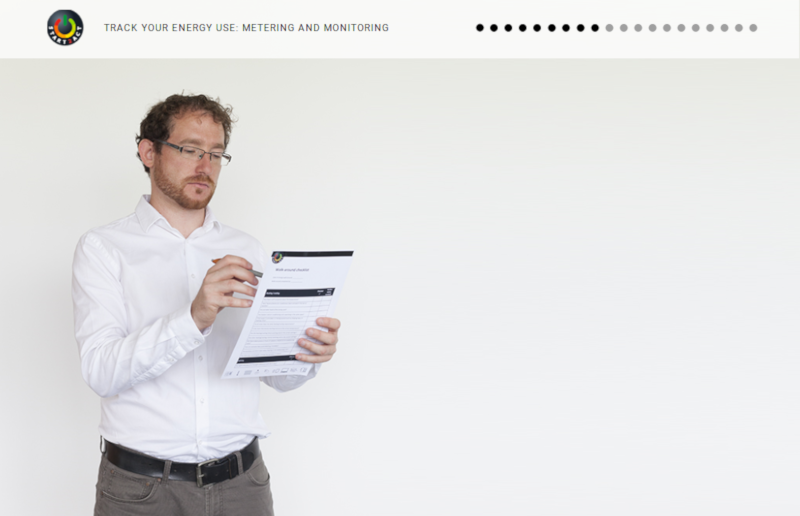 As a cornerstone of effective planning, the second chapter will focus on metering and monitoring of energy consumption. By using this method, the manager will be able to successfully plan and set out targets for future energy consumption cuts. The third chapter of the module will help you explore different aspects of procurement and funding for energy efficiency investments.